If you would like extra children to attend, the charge will be £5 per child. 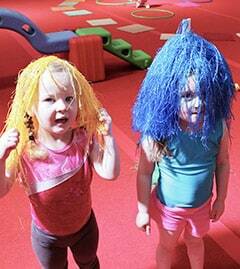 MK Springers gymnastics club is delighted to offer Springtastic Gymnastic Birthday Parties. There is a minimum deposit of £40 payable when booking. This does not guarantee your chosen date and time – please wait until your time slot has been confirmed by the party co-ordinator before sending out invitations. Parties have a minimum charge of £180 (£160 for members) which includes 1-20 children. For each additional child, a charge of £5 per child applies. (Please Note: In order to qualify for discount must be members for at least 3 months at time of booking). All our parties are led by a minimum of two instructors who will design the party to suit the average age of the children who are attending. All parties involve music, games, activities and lots of entertainment. The party includes 1 hour in the gym area and 45mins (this includes clean up time) in our exclusive party room. 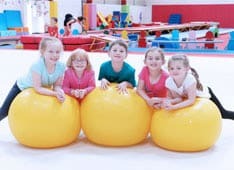 For our younger party goers (4yrs & under) we offer sing-along & action warm up, fun & games on our special soft play equipment, swinging from our pre-school bars, jumping along our low beam, races down the tumble track (when available) and finally jumping rolling and much much more on our 12 meter inflated track. We ask that children under the age of 4 yrs must have an accompanying adult who will stay with the child throughout the party. For children aged 4 yrs plus we offer a fully structured fun party where the children stay with our party leaders. The Birthday guest of honour will lead his/her friends in a wide range of gymnastic activities which may include the following; warm-up games, tumbling down the tumble track (when available) or inflatable air track, forward rolls along our benches or high beams, up hip circle and swinging from our bars, try cartwheels, handstands and acrobatic fun. Only the children attending the party are allowed in the gym area together with the host parents/guardians. After the gym time, the children will move into our party room for 45 minutes of party food that is supplied by you. The party room is set out with tables, chairs, and has appropriately decorated walls. You will need to supply paper plates/dishes, party food, birthday cake, candles etc! We are happy to supply cordial drinks and water. Parents/Guardians are responsible for the children while they are in the party room and for the remaining party time. At the end of the 45mins, the party room must be ready and vacated for the following party.